Being Frugal and Making It Work: Daylight Savings Time: Did You Remember to Fall Back? 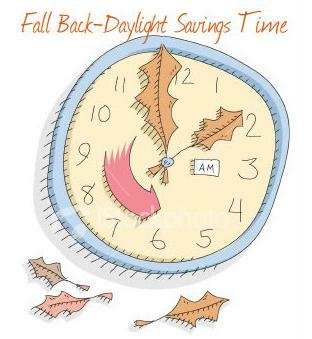 Daylight Savings Time: Did You Remember to Fall Back? Did you remember to set your clocks back on hour before you went to bed last night? Most of the United States begins Daylight Savings Time at 2:00 a.m. on the second Sunday in March and reverts to standard time on the first Sunday in November. In addition, now is the also perfect time to change the batteries in your smoke detectors! What do you like or dislike about Daylight Savings Time?